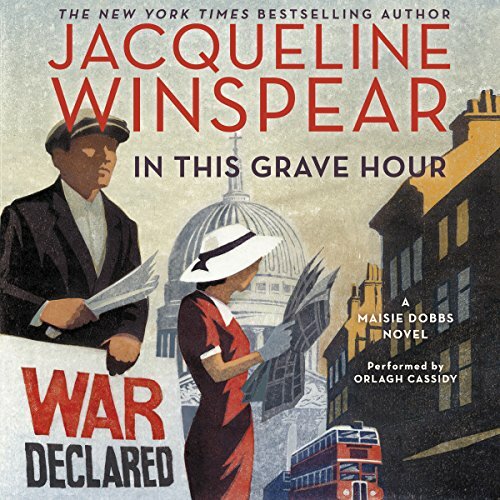 As Britain becomes engulfed in a second World War, the indomitable Maisie Dobbs is plunged into a treacherous battle of her own when she stumbles on the deaths of refugees who may have been more than ordinary people seeking sanctuary on English soil, in this enthralling chapter in Jacqueline Winspear's enormously popular New York Times best-selling series. Critics have long sung the praises of Jacqueline Winspear and her best-selling Maisie Dobbs series. 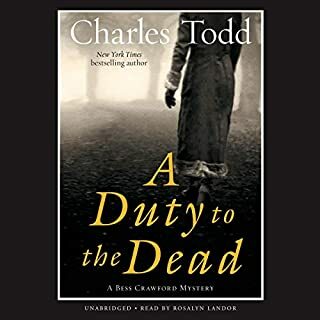 In the 13th installment, Maisie - "one of the great fictional heroines, equal parts haunted and haunting" (Parade) - is back with more mystery, adventure, and psychological insight. When listeners last heard Maisie Dobbs, it was 1938, and the world was on the brink of war. Maisie herself was on a dangerous mission inside Nazi Germany, where she encountered an old enemy and the Führer himself. In In This Grave Hour, a year has passed, and Maisie is back home in England - yet neither she nor her nation is safe. Britain has just declared war on Germany and is mobilizing for the devastating battle ahead. But when she stumbles on the deaths of a group of refugees, Maisie suspects the enemy may be closer than anyone knows. Old fans will be delighted by Maisie's return, and new listeners will be hooked by this thrilling installment in Jacqueline Winspear's "thoughtful, probing series" (Oprah.com). Yes! Maisie Dobbs is back and the author has returned to the quality of the books of a few years ago. The last two, although interesting and well-researched, were lacking something to me. I'm glad Maisie is back in England with Billy and Sandra and Dad and Brenda. She butts heads with now DCI Caldwell as usual and there's the hint of a future with old friend Richard Stratton. The story of the Belgian refugees -and Anna even - is especially relevant now in 2017, sadly. This time period of early WWII in the U.K. is rife with potential stories and I look forward to more. Orlagh Cassidy does a wonderful job with all the accents. Great work! It is great to have Maisie, Sandra and Billie back in the old office working on investigations again. Feels like the book is back on track. World War II has started and for all the veterans of WWI and their families it is a difficult time. Dr. Francesca Thomas of the Belgium Embassy and secret service has hired Maisie to solve a murder of a Belgium refugee from WWI. Then three more murders occur of people Maisie has spoken to during the investigation. Maisie has also taken in some children into the Dowager house and her father and Brenda are taking care of them. People are sending their children out of London and into the countryside in case London is bombed. The book is well written and researched. Winspear keeps Maisie into the time frame so well. Having the WWI Belgium refugees at the center of the story keeps the theme of the series together going into another war. Winspear provides great descriptions of what life was like in and around London at the onset of WWII. The characters are so interesting and realistic. I have enjoyed this series from the beginning. The book is about ten and half hours long. Orlagh Cassidy does an excellent job narrating the series. Cassidy is a Scottish actress and award winning audiobook narrator. She is one of my favorite narrators. Another fabulous Maisie Dobbs adventure! Maisie does it again. 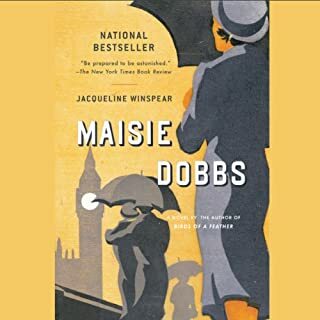 Thank you Jacqueline Winspear for another wonderful Maisie Dobbs book! I can't help but be rather impatiently looking forward to the next in this wonderful series. This book deals with refugees and the shuffling of children that occurred during WWII. 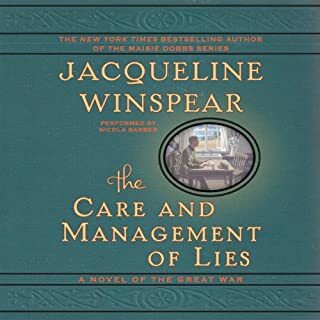 I have read all the Maisie Dobbs books as well as The Care And Management Of Lies. Jacqueline Winspear is one of my top 5 living authors. If you have yet to read any of her historical fiction novels? Your in for quite a treat. Enjoy! Thank you Orlagh Cassidy. I love your voice! You create a wonderful listen experience. I love this series.Have read all of them and they get better and better with each installment. I loved "Train to Munich" her last one and this one meets all expectations. Orlagh IS Maisie Dobbs. I Wish I did not have to wait another year for the next book. 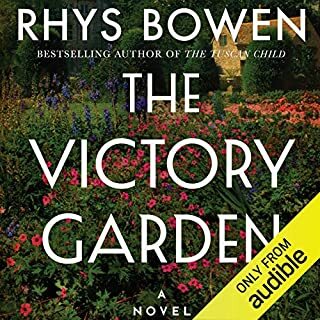 I must admit addiction to the wonderful British historical mysteries such as this Maisie Dobbs series and Rhys Bowen's Royal Spyness series as well as her Molly Murphy series. In This Grave Hour is Novel 13 in the Maisie Dodds series. The first 8 novels in the series were light and fun murder mysteries. Then Maisie and her husband moved to the US and tragedy struck when she lost her husband in an accident and then her child at her birth. Then Maisie started to wander and take serious risks including becoming a nurse in the Spanish civil war before moving to Hitler's Germany getting into trouble there for a year. Novels 9 - 12 in the series were not light and fun. This novel, #13, finds Maisie back in her detective bureau with Billy solving murder mysteries. Her dad and step-mom play major roles in the book. But WW II is just starting for Great Britain, so one must expect that both Maisie and Billy will find a way to participate in the next novel in the series. Orlagh Cassidy narrates wonderfully as usual. 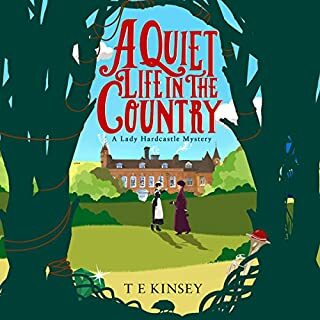 Of all of the American narrators who narrate British novels using British accents, Cassidy is second only to the great Katherine Kellgren. But then as a narrator, in my opinion Katherine Kellgren is quite simply the very best. I love Maisie Dobbs books, and this one was no exception. And Orlagh Cassidy is fabulous narrating as well. I have read them all. With each new book, I hesitate, thinking that the quality will falter. Not disappointed yet. Maisie and her accompanying characters are compelling. The detail of the time period is fascinating. The mysteries are really secondary for me, but I didn't see the solution coming. One complaint: I love Ms Cassidy's voice and characterizations, but why can't they edit out her swallowing? Very distracting and probably an easy fix. Where does In This Grave Hour rank among all the audiobooks you’ve listened to so far? Having listened to all of the Maisie Dobbs series I consider this episode to be the very best. The sad thing about it is that I have waited a year for it to arrive and now I have consumed it like like a thirsty man finding an oasis in the desert. 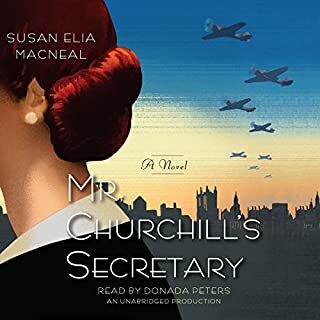 That being said I encourage anyone to start at the beginning with book 1 (Maisie Dobbs) to gain the full impact of the cast of characters that this episode brings to the stage. Though that's not necessary to gaining the enjoyment of a very good read it will give one a lot of enjoyable entertainment if you're into this genre. As for this issue I found it the best so far due to the return of Maisie to her family, associates, and the reestablishment of her office and work. My hats off to Jacqueline for putting the house back in order.